Whether you're booking a picnic in a park, a community event or trail race, we can help you through the booking and permitting process. The City of North Vancouver and District of North Vancouver maintain a large inventory of fields, parks, and plazas available for use. 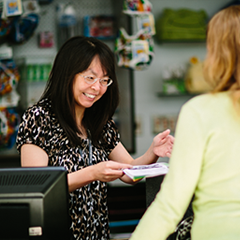 Bookings and permits for parks, trails and plazas are managed by North Vancouver Recreation & Culture on behalf of the City and District. Any organized groups gathering in parks, trails or plazas to hold a picnic, celebration or event are required to obtain a Park Use Permit through our booking application process. Please note that there is no alcohol permitted in public parks. View the information below for the type of booking you wish to make. For your reference you can also view the City Parks Online Map and the District Parks Online Map to find the park you are looking for. If you would like to book a playing field visit our Book a Field page. In order to ensure our parks and open spaces remain beautiful and accessible for the public to enjoy, please review the Park Use Guidelines below. Use our online Picnic & Wedding Ceremony Application form to request a booking to hold a picnic or small wedding in a North Vancouver Park. If you have any questions, call our park and field booking office at 604-983-6318 or email. North Vancouver is a picturesque location to hold your group or family picnic or wedding ceremony. Picnics may be booked at several North Vancouver Picnic Shelters. Picnic Shelters can be booked in four hour blocks. Bookings must be made in advance of your picnic and applications are accepted Monday - Friday 8:00am - 4:00pm. To book a picnic shelter please complete the online application form or call 604-983-6318. Picnics may also be booked at many other North Vancouver parks. All organized groups such as associations, school groups, clubs, societies and church groups are required to obtain a Park Use Permit. Casual users may be required to obtain a Park Use Permit should they wish to access park amenities not accessible to the public. The 2019 event application period is now closed. Community and trail event proposals are accepted on an annual basis. The next application deadline is November 15, 2019 for early applications. All applications are reviewed by municipal Parks Managers to determine suitability and capacity of the event for the location requested. Our application period will open early this year and we invite you to submit prior to January 31st 2020. New Trail events, or events with significant changes to route and activities, which take place between January and April 2020, will be reviewed early to allow sufficient time for planning. You are invited to submit your event application by November 15, 2019. All other event applications will be reviewed in the regular event application period ending January 31st 2020 with application status available by February 28, 2020. All applications are reviewed by municipal Parks Managers to determine suitability and capacity of the event for the location requested. Where Alcohol Service was requested in the initial Event request and the applicant has received an APPROVED Community Park Event location in the District of North Vancouver, applicants are required to complete and return the DNV Community Park Event - Request for Alcohol Service Application form. Questions? Please call NVRC Community Events at 604-983-6575 via email or use our Community and Trail Event Application Form. Insurance with a minimum of $5 million liability, and listing the City of North Vancouver, the District of North Vancouver, the North Vancouver Recreation and Culture Commission and North Vancouver School District #44 as additional insured’s. Further additional insured’s may be required depending on event location. In addition, an increase in liability coverage may be required depending on the proposed event activities. To apply to book Lynn Valley Village Plaza, please contact Community Events at 604-983-6575 or email. To apply to book City of North Vancouver Plazas, including Shipbuilder's Square, the Pipeshop and Civic Plaza, please visit the City's website. Park Use Permits must be obtained for any organized groups in order to hold their picnic, gathering, celebration or event in a park. Park bookings do not provide exclusive use of a park. Free public assess must be maintained. Alcohol Consumption is prohibited in Public parks in North Vancouver unless a municipal permit has been issued and is displayed on site. BBQ use may be restricted dependent on the season and current environmental conditions. Gas, propane or hibachi barbecues are allowed in off-field areas except in high to extreme fire conditions. Whenever possible, cook on concrete pads or gravel and away from dry grass and fire-prone areas. Do not cook over grass or wood structures. Note: Lynn Canyon Park allows as barbecues only. Other parks allow gas, propane or hibachi barbecues. Bouncy Castles or inflatable devices are prohibited in parks without special permission and requirements. Dogs are not allowed on sports fields, playgrounds or picnic areas at any time. Visit dog-friendly parks in the DNV and CNV. Some locations offer off-leash areas. Food Vending and Food Services (including Food Trucks) are not permitted without special permission and requirements. Garbage and Recycling must be placed in appropriate containers or taken home. Store any garbage you cannot dispose of immediately in a sealed container. Be bear aware! Don’t leave garbage outside of park garbage bins. Grey water, from preparing food or washing up, is to be carefully disposed of and not poured into storm grates. The majority of our storm grates empty into local streams and grey water would result in the pollution of them. The dumping of ice, excess juice, water or food on the grass is forbidden, and may attract wildlife. Noise from Public Address (PA) systems or loud speakers is not permitted in parks without receiving special permission and a relaxation of the Noise Bylaws enacted by Mayor and Council. Parking on grass areas, within parks, is strictly prohibited. Parks are Smoke Free (DNV Bylaw #7792; CNV Bylaw #7026). North Vancouver trails are valued by residents and visitors alike and it is important to preserve them.The use of trails for an event or organized group must be approved by Parks Department staff.Please see Community and Trail events below for the application process. Water is a precious resource so do your best to conserve it. Make sure taps are turned off after using outdoor park showers or water fill-up stations.